All right, everyone. It’s been two months since my last update…which wasn’t a happy one. Unfortunately, the last post informed everyone that the Stevie Wonderboy – Sky foal died just hours after being born. It was a difficult birth and he just didn’t make it. It’s very sad, but it happens. Life goes on. Thank you to the countless number of people that either called or wrote me to apologize for my loss. It meant a whole lot. Since then, A LOT has happened. Rather than write pages and pages on what has been going on in my life in the last couple of months, I’m going to give lots of updates in Twitter fashion, 140 characters or less. I was very disappointed IHA didn’t have a chance to go for the TC. 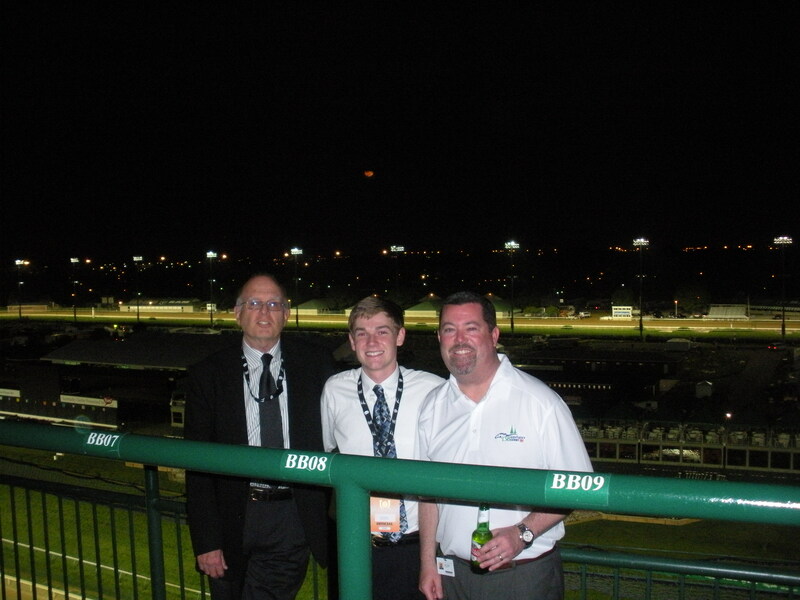 But congrats to the connections on their Derby and Preakness wins. 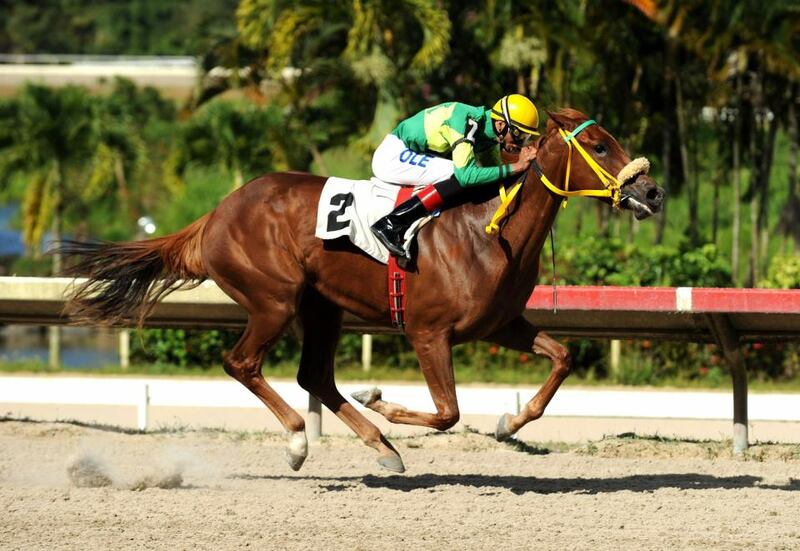 Skype had her first race: She won a MdSpWt in Puerto Rico in her first career start on May 26. Couldn’t be more proud of her. Sky Above, Skype’s older brother, is back on the worktab after recovering from minor injury. 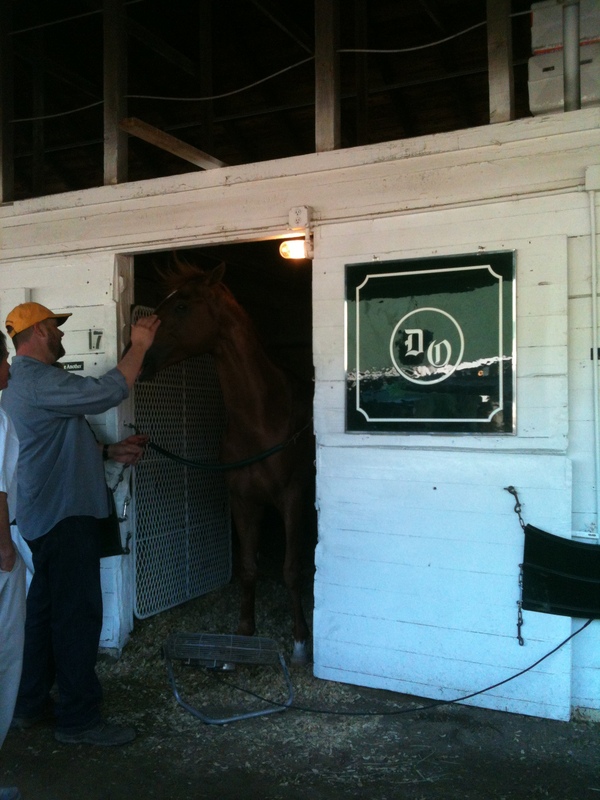 Worked 1/2 mile in :49 at Delaware on Monday. Skype (Score Classy) will try to improve her record to 2-for-2 in Sat.’s 1st race @ Camarero. She is the 8/5 ML favorite in the field of 5. Faith is doing really well and is growing like a weed. Looks great! Might try to keep her and race her. Prob. will enter FT Oct. as well. Sky recovered from her tough delivery and is fine. She was leased out for the season and was bred to Nobiz Like Shobiz. In foal! I’ll do some meet highlights later, but top horse performances so far are IHA, Groupie Doll, Successful Dan, Rothko and Royal Delta. Summer plans: Looking forward to weddings, my 1st visit to AP for Arlington Million, and a vacation to Saratoga for Travers weekend. That’s all the updates for now. Check back after the Meet for more. Thanks for the continued support! I’ll end with some pictures. 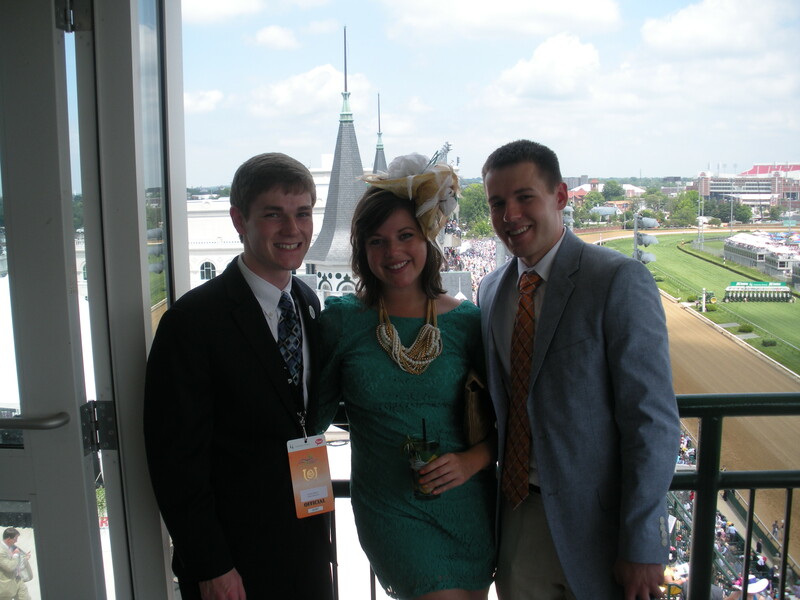 Kentucky Derby Day with my fraternity brother, James, and his girlfriend, Melanie. Glad they were able to make it. 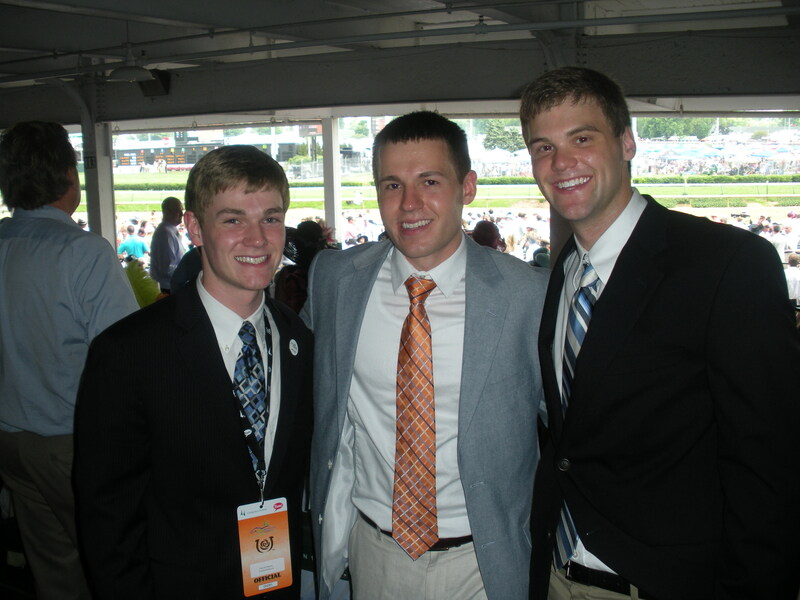 Derby Day with my fraternity brothers, James and Matt. 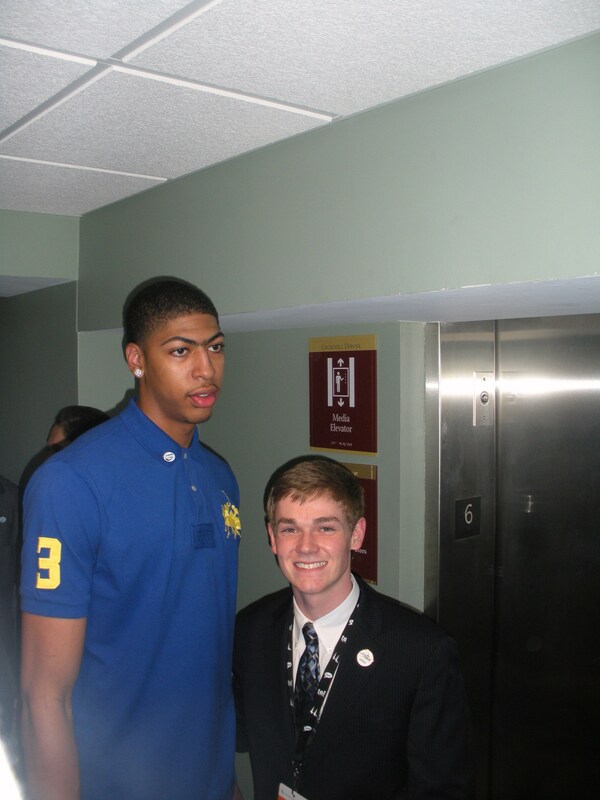 Ran into NCAA champ, player of the year, and future #1 pick, Anthony Davis. I’m clearly more excited. GO CATS! 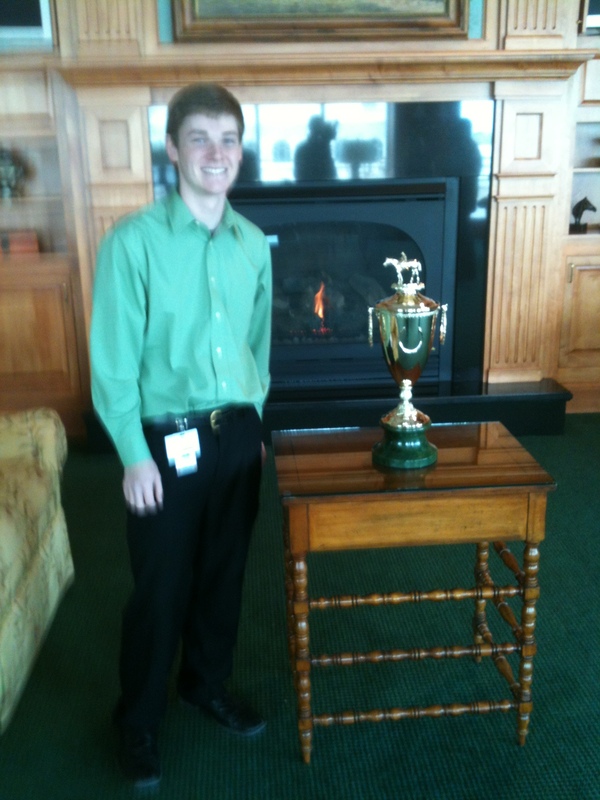 With the Kentucky Derby trophy the day it arrived at Churchill Downs. 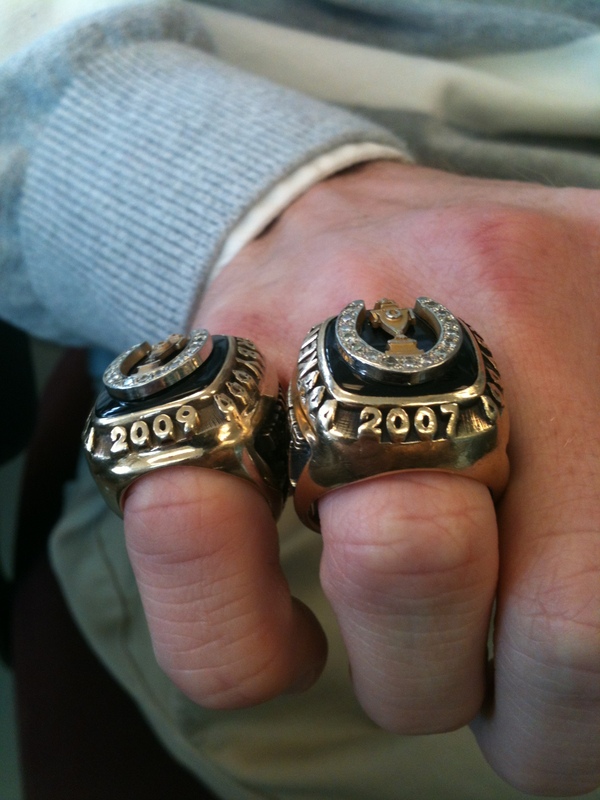 Calvin Borel’s agent Jerry Hissam let me try on a couple of his Kentucky Derby rings. Maybe I’ll get one of my own someday. A beautiful picture of Skype (Score Classy) winning her career debut. Thanks to Joe Bruno for the picture. Hope to have another winning picture of her this weekend.